I visit with old friends and brothers from the Onawa Knights and they remember Knights of old who influenced them. Fr. 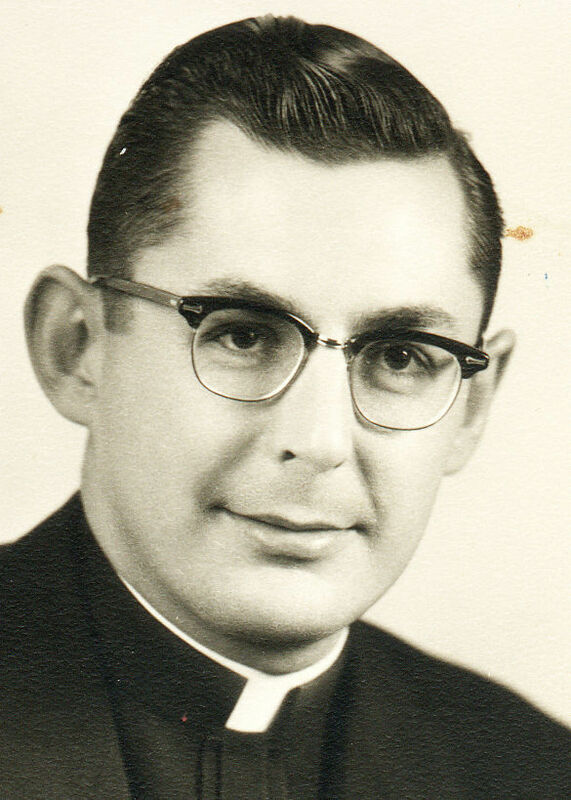 Graalup reflects on the life impact of a recently departed priest. Kevin Althaus from Dubuque explains a life project to help unwed mothers. Finally Wally Witt comes to a career as field agent in mid life. He shares some of the influences Knights are for him. This is Knight Life. Our State Deputy Jon Aldrich Challenges us to be men of courage and do everything with Love. Our Mission is Be Men of Courage and do everything with LOVE for our fellow man, woman, child and unborn child. In early July I was privileged to attend the installation of officers in Onawa-Blencoe council 6249. It was this council and group of men that had tremendous impact on my leadership style in the early 1990’s when as a young man I served as their district deputy. Doug Zima was Grand Knight back then and is reprising his role again now. Afterwards we reminisced about days gone by and the great brother Knights who were players on the back stage then. I wonder how they would face the challenges of today? I recall more than once Leo Marley speaking up at a meeting “we need to do this because it is the right thing to do”. Never because it was the easiest – always because it was right. I’m proud of his legacy as a brother Knight. Our conversation with Doug also reveals we have opportunity to invite those unknown younger men to make their family part of the Knight’s Family just as Leo did so well years ago. Speaking of leaving a legacy we lost Fr Gerald Zensen in mid-July. Fr Graalup spoke with me about the memory and influence of his friend Fr Zensen. Both Fathers are Knights and served as Chaplains thru the years. You may have picked up that Fr Zensen was a recovering alcoholic. Taking one day at a time and counting on God to be strong is a good lesson for all of us. I traveled to a rural Audubon County farmhouse for a district meeting hosted by DD #24 Mark Kerkoff. While there I spoke with Wes Dammann GK of Manning Manilla council about a project to raise funds for an ultrasound machine. It’s impressive what a small group of Knights can do once they put their mind to it. You heard Wes mention that Carroll – a nearby council had a goal of $10K for ultrasound initiatives as well. The Challenge is on for all Knights to step up and invite their neighbors to help in the cause of life. Wes also mentioned the efforts of the Halbur’s the 2015 Iowa Knights of Columbus Family of the Year. You can learn more at 2015 Convention Awards. Kevin Althaus gives some great points about what the Knights have meant to him in growing his faith and leadership. Another Knight Wally Witt attempts to tell me of his experience of the Knights. Sometimes at a loss for words, yet the positive emotion is strong and deep. Wally is very much influenced not only by the Knights generally but particularly by an exemplary Knight his father Don Witt Those close to us are an influence for good in our lives if they choose to be. In this week’s Knights to Christ reflection Steve focuses on the importance of Grandparents. How do we support grandparents – and any of those called to do great things in faithful and devoted ways? This week on Knight Life we eagerly await our annual convention this year on Divine Mercy Sunday. But first I visit with Knights about — their life as a Knight. Hello, I’m Mike Gaspers. I’m back with you for this week’s half hour of information, inspiration and invitation around the activities of the Iowa Knights of Columbus. This is Knight Life…our Mission is to Go Make a Difference – for our brother Knights, for their families, for life… all life. In the 15 years since that proclamation the observance of Divine Mercy Sunday celebrated on the octave of Easter has blossomed across this country and around the world. Knights will help to celebrate God’s abundant mercy in their local parishes and perhaps more importantly within their immediate families. Remembering James Maertens reflections on authentic male spirituality, we can see that to be merciful and to accept mercy is the mark of a true disciple of Christ. One way to celebrate Divine Mercy Sunday is thru reconciliation. Throughout this coming Divine Mercy week-end delegates and guests to the State Convention will have access to this great sacrament. One culture issue all Knights agree upon is the value of life and our need for God’s Mercy in response to all those innocent lives lost to abortion. I had the privilege of attending St. Mary’s Humbolt KofC fish fry during March. One man at the entrance to the parish center was selling raffle tickets. I got to visiting with him to discover the key recruiter for that council these last several years. Tony Luft shares his insight into inviting men to become Knights. Tony gives us all plenty to think about regarding how we bring men into our fraternity. I had the chance to have coffee with Dan Conlon, field agent from North East Iowa whom I’ve known for over 2 decades. We chatted outside the restaurant with traffic moving by. This week’s Knights to Christ segment focuses on the importance of fraternity beginning with devoting our lives to Christ. For more information visit our Facebook page, or our website iowakofc.org. We are a family friendly fraternity. We place God First in our lives and then Act to serve others in charity. I’m Mike Gaspers, thank you for listening. Feeling inspired? Then Go Make A Difference in the World by your words and by your deeds. 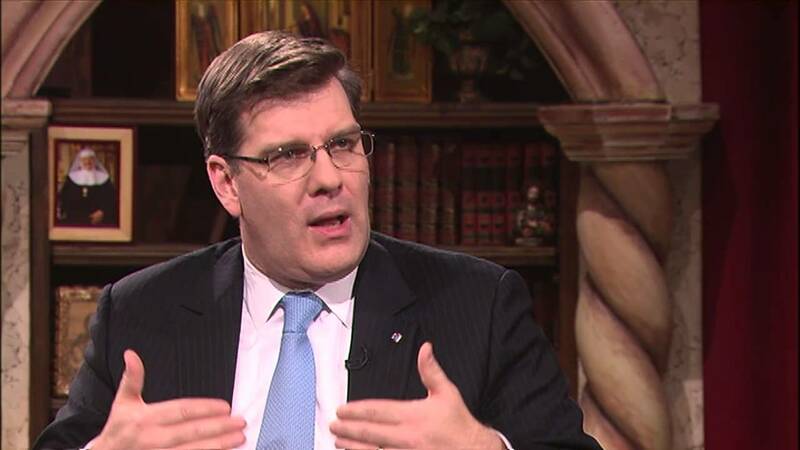 This Week on Knight Life..
We hear from National Leader Who is strongly Pro Life. We hear from Knights who wish to help their fellow man, woman, child and unborn child. Former Arkansas Governor, Mike Huckabee, speaks out for Life and for Innervisions Clinic in Des Moines. Jenny Condon talks of the ministry of Innervisions Women’s Health Clinic to helping the mother and child. Mike Gaspers and Ken Root talk of the changing environment for Knights Councils. The speak about Roe V Wade on the anniversary of the ruling, forty one years hence. 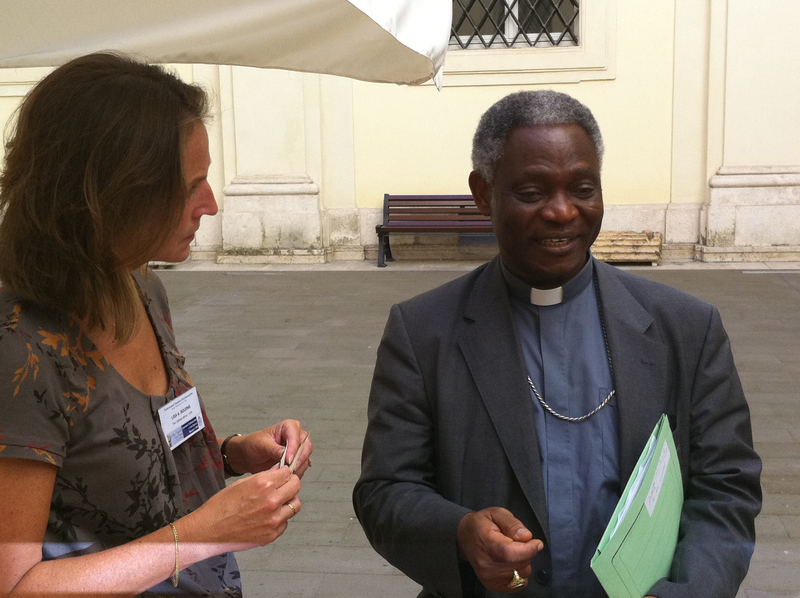 Cardinal Peter Turkson, president of the Pontifical Council for Justice and Peace, as he visits Des Moines for the World Food Prize. Mike Gaspers catches up with departing Danbury Grand Knight Tom Wyant on both his experience as a Knight, and also how he’s walking the walk when it comes to supporting life. Then we hear from a Knight from Ohio, who came to Iowa to assist the insurance side of the order with staffing. Mike Gaspers talks with Rick Gaskell a Field Director for Knights of Columbus insurance.